Music | Life So Lovely. Posted on September 9, 2012 by Nicole | Life So Lovely. McKenzie is one of the most musical little children I’ve ever met. If it involves singing or dancing, she’ll love it…guaranteed. So one day, my good friend Stephanie came to visit (who happens to be an elementary school music teacher) and she’d burned two great kid’s CDs for us! 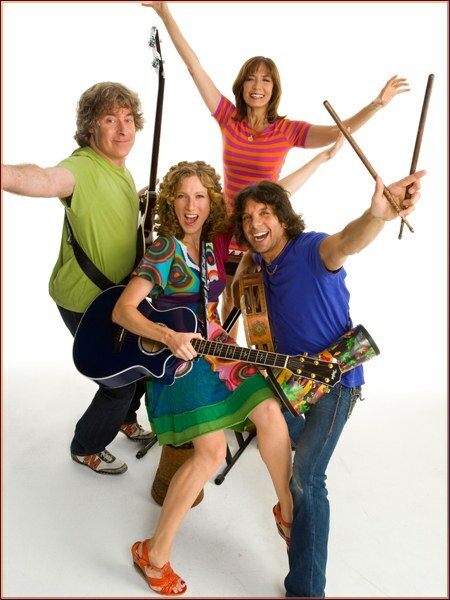 One of them was The Laurie Berkner Band (this song is McKenzie’s favorite). The best part is that they’re on Netflix and there are two different shows, so definitely check it out if you have it. There are fun moves and everything…it keeps her entertained for awhile. Haha. It’s great for both boys and girls, and even babies would love it, I’m sure! The best part is that the music isn’t annoying like some other kid’s music I’ve heard (think the SpongeBob theme song), it’s actually very good. Anyhow, I’m super excited because they’re coming to Milwaukee on October 28th! It’s going to be a Halloween special, and I can’t wait to go with McKenzie. She’ll even get to dress up! She’s gonna have so much fun. So yeah, check it out. I really recommend them if you have a musically inclined kid!